Authenticity and characterization of edible oils have become necessary to tackle the problems like adulteration and quality assurance of edible oils. 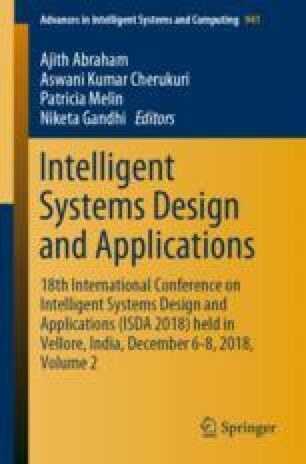 The present paper deals with the use of Near Infrared (NIR) spectroscopy combined with exploratory data analysis methods for possible characterization and identification of eight different types of edible oils (sesame oil, safflower oil, mustard oil, palmolein oil, groundnut oil, extra virgin olive oil, canola oil and refined soya oil) used in Indian cuisine. NIR absorbance spectra covering the 1050–2400 nm spectral range of all the samples pertaining to eight different varieties of edible oil were collected. Spectra data has been corrected using iterative restricted least square (IRLS) method of baseline correction. The principal component analysis was used for exploratory analysis of edible oil spectra. Loadings vector of PCA has been used to select the important wavelength regions. Based on the loading vector five wavelength regions were selected. For each wavelength region PCA-DA, PLS-DA, and k-NN classification models were developed. Effect of different data pretreatment methods such as Savitzky-Golay smoothing, standard normal variate (SNV) correction, multiplicative scatter correction (MSC) and extended multiplicative scatter correction (EMSC) on the error rate of classifier has been presented. The result shows that in the wavelength region R4 (2110–2230 nm) all the classifiers have zero error rate with external validation samples. The thence proposed models using specific wavelength bands show good probability for characterization and identification of all the eight varieties of edible oil are presented.